Since December 22, 2018, we’ve been experiencing the longest government shutdown in history. The effects have been serious and tangible—and the many people who are experiencing them can attest to that. National parks have been trashed, airports are facing a shortage of TSA workers and food stamps could run out of funding by March. One crucial repercussion of the shutdown is the fact that around 380,000 government employees that work in departments and agencies whose funding has lapsed are now furloughed without pay while the rest are working without pay. Many are about to experience their first missed paycheck since being furloughed, which as you can imagine, could reap serious consequences on their home life. 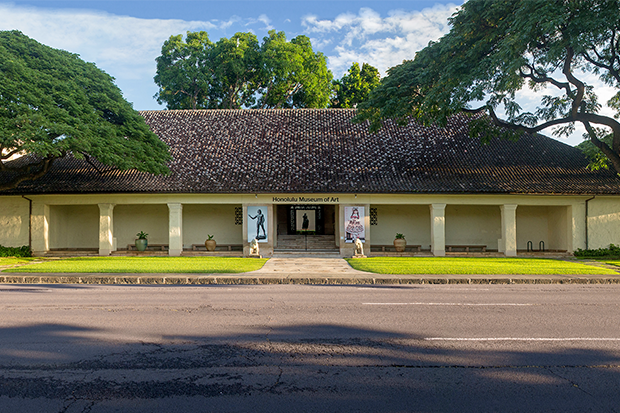 In light of this shutdown, the Honolulu Museum of Art is proud to offer furloughed federal employees and a guest of their choice free admission for the duration of the shutdown. If you are one, just stop by our front desks—at both the South Beretania location and Spalding House—and present your federal ID. We know this won’t solve the critical issues surrounding the shutdown, but we hope immersing yourself in beautiful art can help relieve the stress being caused. Mahalo for your hard work and we hope to see you soon! Please feel free to call us at 808-532-8700 if you have any questions.